C.I. 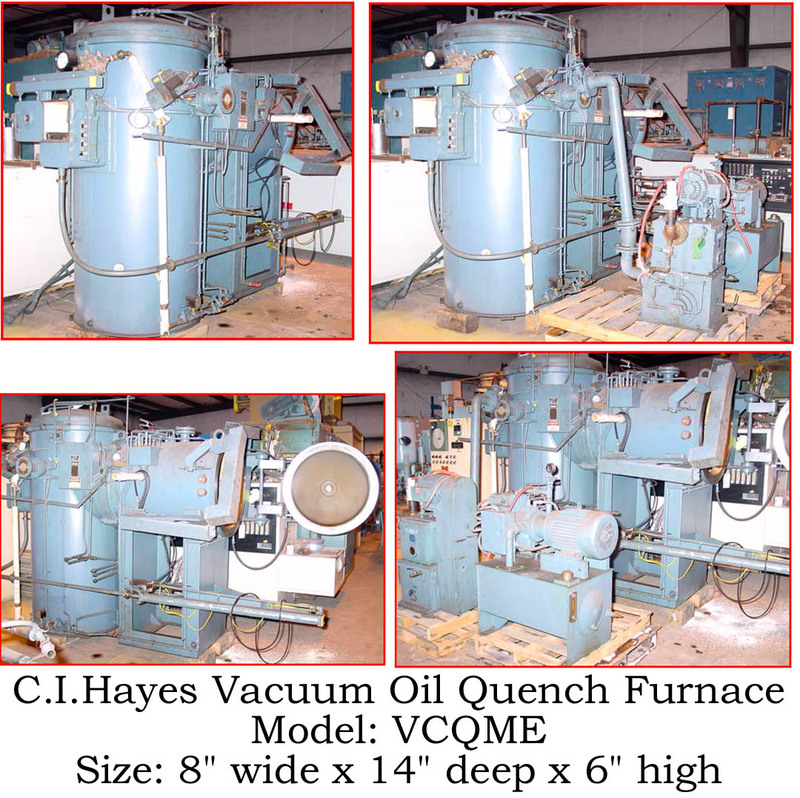 Hayes Vacuum Furnace. The front door is mounted on an I-Beam trolley and slides to the side for access to the interior. Quench section is located directly in front of the heat chamber with a hydraulically operated door separating the chambers. 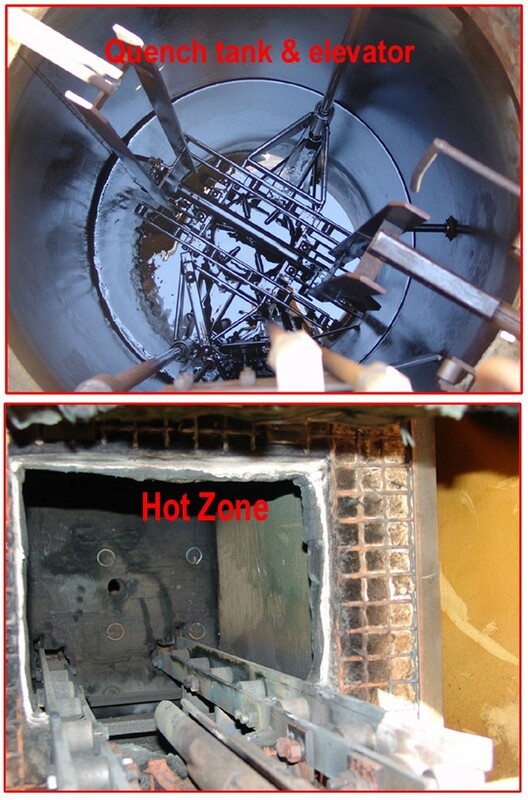 Hot zone is lined with graphite felt backed up with ceramic fiber blanket.Six graphite rod elements are mounted horizontally across the chamber, 3 over and 3 under the work area. Hearth rails supprt the work load. Hydraulic cylinder transfers the load between the chambers. Hydraulic pumping system lowers and raises the work load into the tank. 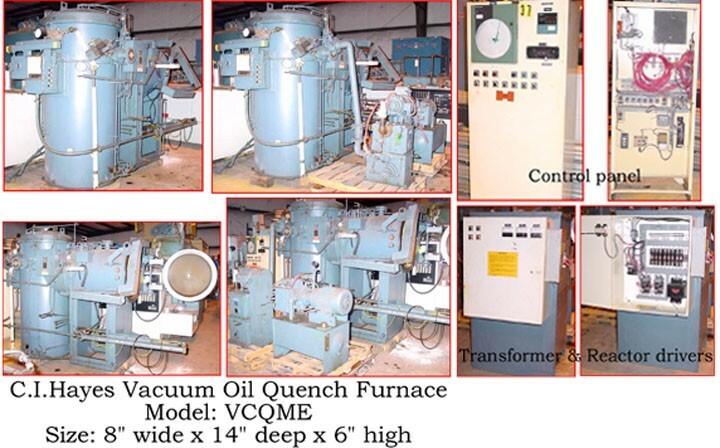 There is a Kinney vacuum Electrically heated with a voltage of 480/3/60/20 kW. Model # VCQME and serial # 16482 (1987). Max operating temperature is 2400°F. 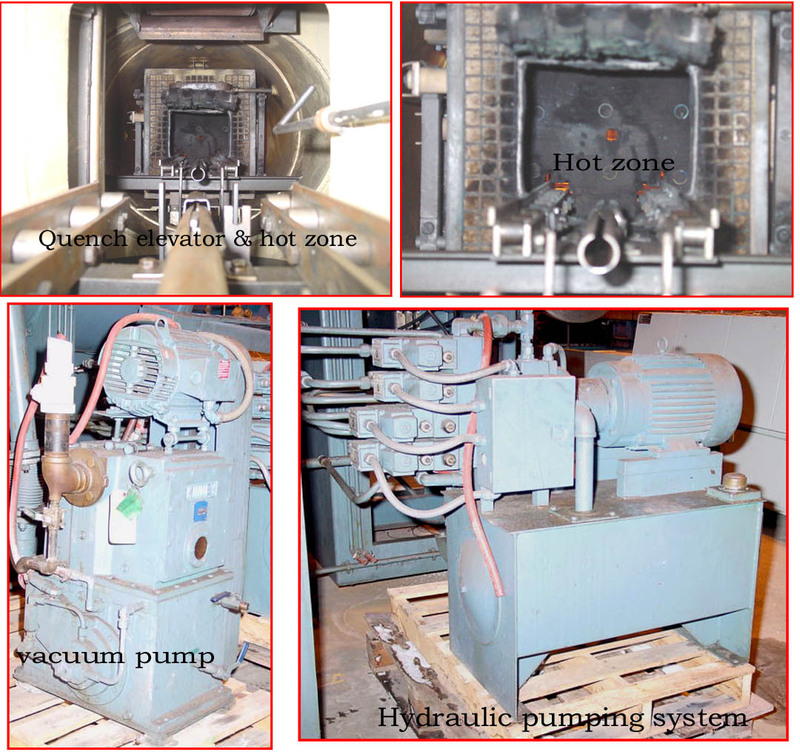 Working dimensions of 8″W x 6″H x 14″L with external dimensions of 5′ wide x 9′ 6″ long x 8′ 5″ high Furnace only – not including pumps, transformer. Controls are mounted and wired in a separate enclosure. There is a Honeywell DCP 511 programmable controller and a Honeywell round chart recorder / high limit with digital readout. MKS vacuum gauge indicates vacuum level in the quench area and the heat chamber. 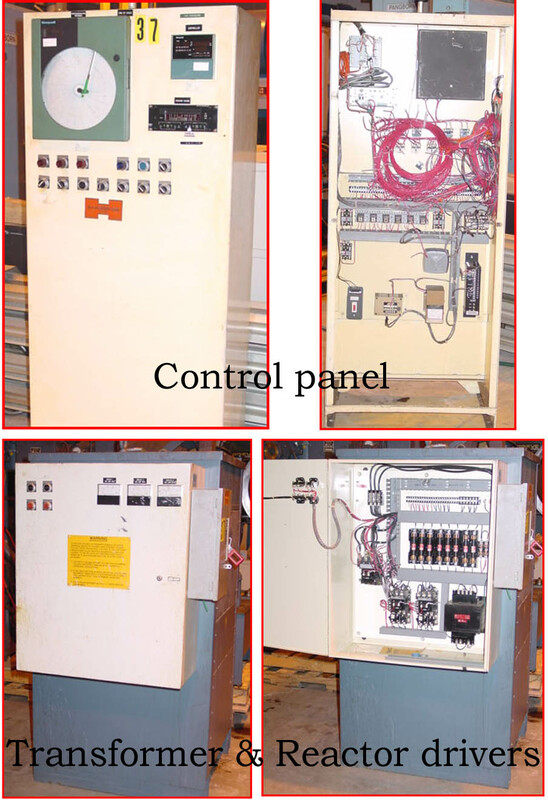 Control switches for all functions of the furnace including temperature, vacuum, nitrogen backfill, gas fan and oil agitator are flush mounted in the enclosure. Controls for transferring the load and elevator controls are located next to the furnace door. Voltage reduction transformers with DC power drivers are mounted in a NEMA 12 enclosure.